Pyxis Tankers Inc. (Nasdaq: PXS) is among the top penny stocks to watch for December after climbing 123% last week, and then another 120% by noon on Monday, Dec. 4. Pyxis is a Greece-based liquid fuel transporter operating a fleet of six double-hull tankers in the United States. There was no recent news from the company or analyst revisions that sparked the stock’s surge. 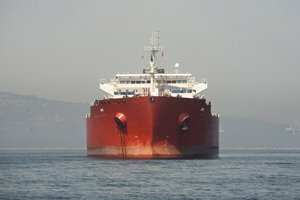 But some analysts suspect the recent $90 million share offering from Scorpio Tankers Inc. (NYSE: STNG) attracted unusually high speculation in the sector. While PXS’ 123% gain was impressive, we’re recommending a different stock to our readers today. This stock is positioned for 70% growth over the next 12 months and is far less risky. And the company we’ll show you today has beaten analyst earnings expectations in six of the last seven quarters while on pace to grow profits by 33% or more this year. Over the last two trading sessions, shares of PXS have climbed from $2 to $6.68, for a total gain of 234%. And while that’s an impressive increase in just two trading sessions, the fact that it came without any direct connection to the company leaves its investors in a precarious situation. Hopefully this underscores the amount of risk and speculation that goes on among penny stocks. You see, most penny stocks are speculative investments, which can have huge price swings in a short amount of time. In this case, after climbing from $2 to $9 on Friday, PXS shares plunged to $4 by closing. And on Monday, after climbing from $5.52 to $11.70, the stock fell to $6.68. Our Money Morning experts are more interested in finding stocks to buy in companies which will increase in value long enough for you to take profits. That’s where Money Morning Small-Cap Strategist Sid Riggs comes in. He’s an expert at bringing readers profit opportunities with massive potential at an affordable price. Consider his pick from December 2013 – Neurocrine Biosciences Inc. (Nasdaq: NBIX). NBIX was trading for just $9 per share when Sid recommended it, and now it has surged 716.66%, to $73.50. Today, Sid recommends a semiconductor component company whose products are used in everything from solar cells to lasers. The company’s revenue is now growing at a 20% clip, far faster than the 11.5% growth of the broader semiconductor industry. But that’s only part of the story.